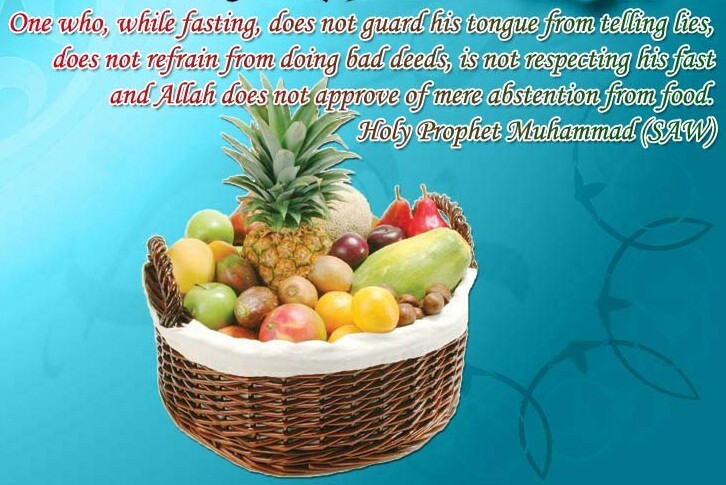 Ramadhan is a very special time for worship, both collectively as well as individually. While study circles, congregational prayers and other activities are carried out collectively there are also many opportunities for individual worship. Dhikr (or Zhikr) is the remembrance and glorification of Allah in order to become closer to Him. 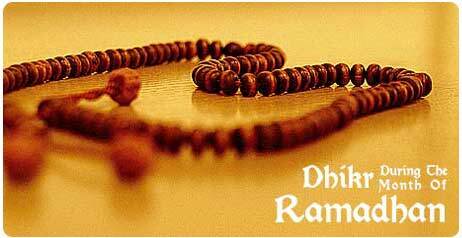 Dhikr is practiced around the globe by Muslims who glorify and praise Allah. Dhikr can be done either silently in your heart, or audibly with a group of people, asking for forgiveness or praising the greatness of Allah. If we look at our everyday lives we all, in some way or another, participate in Dhikr. Whether it is through a conscious effort after salah, or just at times of distress or happiness – we all feel the need to remember Allah. Dhikr is a form of worship that carries much reward. Supplication (dua) is not only the continuous outpouring of a person’s heart before their Lord, but it is also an expression of their sense of nearness to Allah. 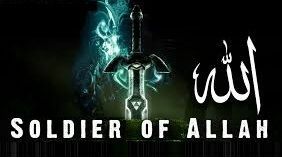 We acknowledge the might and power of Allah as well as the grace and blessings we are given. If we could conceive how much a person supplicates, what he supplicates for, and the way that he supplicates, then we could start to understand how much love they have for Allah in their soul. Whatever we are doing, we can always remember and praise Allah. If we remember Allah in all our actions then we will be rewarded not only for the intention, but also for the act that is carried out. Dhikr of the spirit, which consists of utter submission and acceptance. What nutrients are there in dates? A lot indeed! Here are delicious dessert fruits with much needed minerals and energy to help you stay fit and healthy! Botanically; they are the fruits grow on the palm tree belonging to the family of Arecaceae of the genus: Phoenix and scientifically named as Phoenix dactylifera. The tree is believed to have originated in the lands around the banks of Nile and Euphrates rivers. Date palm is now extensively cultivated for its edible fruit in warmer climates across all the continents. The date fruit is a "drupe" in which an outer fleshy part (exocarp and mesocarp) surrounds a shell (the pit or stone) of hardened endocarp with a seed inside. The fruit is oval to cylindrical in shape, 3–7 cm long, and 2–3 cm diameter, and when unripe, range from bright red to bright yellow in color, depending on the variety. Date fruit pulp taste very sweet, described as reminiscent of sugar syrup and honey mix. It contains single, brown colored, hard seed about 2–2.5 cm long and 6–8 mm thick. The seeds vary in size depending on cultivar type. In any case, they are generally inedible and discarded. There are many varieties of date palm cultivated and some important varieties that are popular for their high quality are ‘Amir Hajj’, ‘Saidy’, 'Khadrawy' and 'Medjool'. Wonderfully delicious, dates are one of the most popular fruits with an impressive list of essential nutrients, vitamins, and minerals, required for normal growth, development andoverall well-being. Fresh date is made of soft, easily digestible flesh with simple sugars like fructose and dextrose that when eaten replenishes energy and revitalizes the body instantly; thus, for these qualities, dates are being used to breakfast during Ramadan months. The fruit is rich in dietary fiber, which prevents dietary LDL cholesterol absorption in the gut. It is also a good bulk laxative. The fiber content helps to protect the colon mucous membrane by decreasing exposure time and as well as binding to cancer causing chemicals in the colon. They contain many health benefiting flavonoid polyphenolic antioxidants known as tannins. Tannins are known to have anti-infective, anti-inflammatory, and anti-hemorrhagic(prevent easy bleeding tendencies) properties. They are a good source of Vitamin-A (contains 149 IU per 100 g), which is known to have antioxidant properties and is essential for vision. Vitamin A also required maintaininghealthy mucus membranes and skin. Consumption of natural fruits rich in vitamin A is known to help to protect from lung and oral cavity cancers. The fruit is very rich in antioxidant flavonoids such as beta-carotene, lutein, and zeaxanthin. These antioxidants have the ability to help protect cells and other structures in the body from oxygen free radicals and thereby found to be protective against colon, prostate, breast, endometrial, lung, and pancreatic cancers. Zeaxanthin, an important dietary carotenoid selectively absorbed into the retinal macula lutea where it is thought to provide antioxidant and protective light-filtering functions; thus it offers protection against age related macular degeneration, especially in elderly populations. 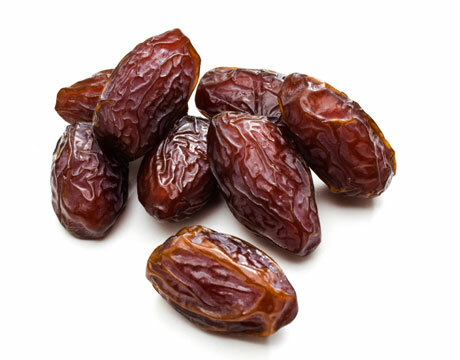 Dates are an excellent source of iron, contains 0.90 mg/100 g of fruits (about 11% of RDI). Iron, being a component of hemoglobin inside the red blood cells, determines the oxygen carrying capacity of the blood. In addition, They are good in potassium. Potassium is an important component of cell and body fluids that help controlling heart rate and blood pressure; thus offers protection against stroke and coronary heart diseases. They are also rich in minerals like calcium, manganese, copper, and magnesium. Calcium is an important mineral that is an essential constituent of bone and teeth, and required by the body for muscle contraction, blood clotting, and nerve impulse conduction. Manganese is used by the body as a co-factor for the antioxidant enzyme, superoxide dismutase. Copper is required in the production of red blood cells. Magnesium is essential for bone growth. Allahummaghfirlii warhamniy wahdiniy wa 'aafiniy warzuqniy wajburniy war fa'aniy. (Oh Allah, forgive me and have mercy on me, and keep me on the right path, and keep me healthy, and provide me with halal sources of living, and complete my shortcomings and make my rank high). Today, there have been 99 visitors (198 hits) on this page!